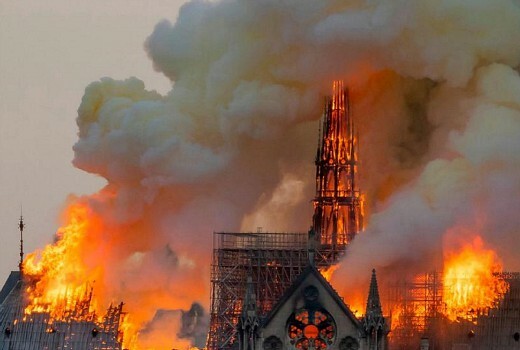 Breakfast TV shows all saw a lift in their numbers yesterday as audiences turned to see vision of the Notre Dame Cathedral fire. Sunrise led at 310,000 viewers followed by Today at 233,000 -the best figures for both in 2019. News Breakfast was 138,000 + 51,000 a total of 189,000 over two channels. Breakfast TV numbers are also traditionally impacted by school holidays. Seven won in primetime with MKR tops in entertainment at 829,000 viewers. Bachelor in Paradise, which ranked fourth in the slot on 526,000, still topped the younger demos. Newcomer The Recording Studio drew 338,000 for ABC. Survey ratings resume on April 28. OzTAM Overnights: Tuesday 16 April 2019. We switched from Sunrise to ABC Breakfast about a year before Mel left so that’s our default go to for morning news. I do miss catching Nelson Aspen though. There is still good television on FTA. The Recording Studio followed by Employable Me was such terrific storytelling.